The lipstick is called: 1995; a great collaboration with YouTube beauty guru Jacklyn Hill. You gotta be kidding me if you don’t know her, but anyway, here’s a link to her channel. The colour: Is the perfect balance of red and brown in a super lightweight matte finish. When I say perfect balance, I really mean it. It isn’t too red or it isn’t too brown. It IS a warm lipstick, but it’s wearable for both day and night. The consistency: Is a slightly dry formula, which is normal for matte lipsticks, but once it’s applied on the lips, it doesn’t feel dry at all! It isn’t gooey like MAC matte lipsticks either. 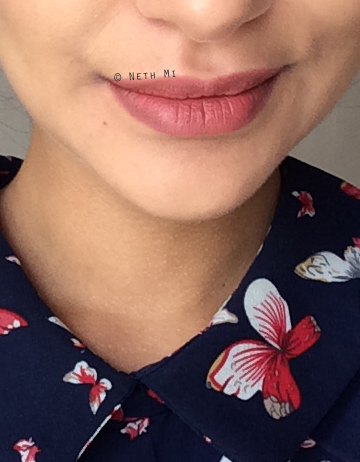 For me, this is the perfect consistency for a matte lipstick. It applies very thinly so it doesn’t settle into fine lines. Instead, it blurs the lines and makes your lips look super smooth! 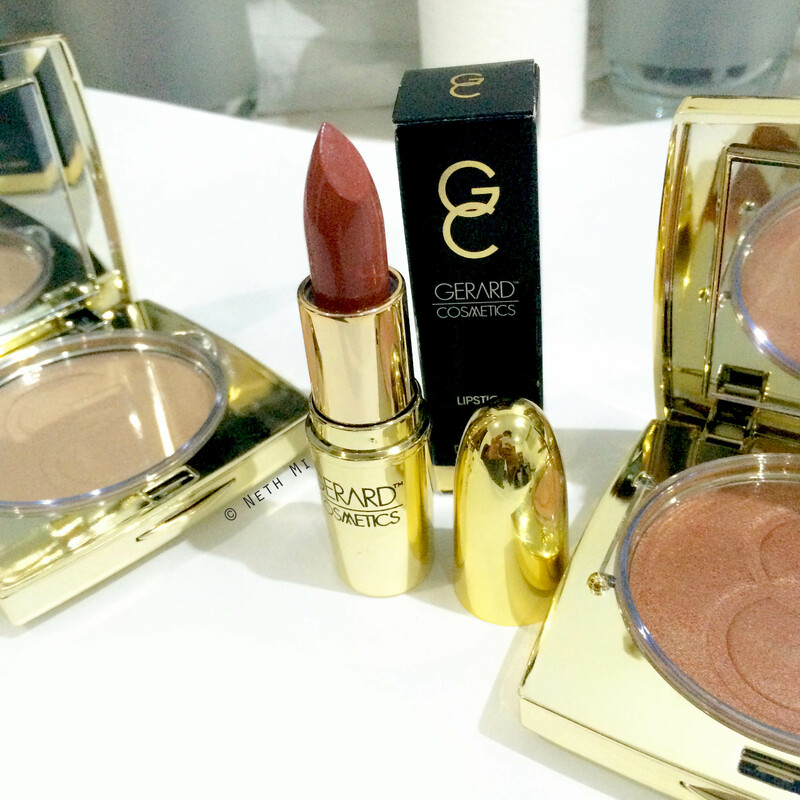 Packaging: Is similar to MAC, but all-gold with Gerard Cosmetics printed neatly in Black. It surely feels luxurious! 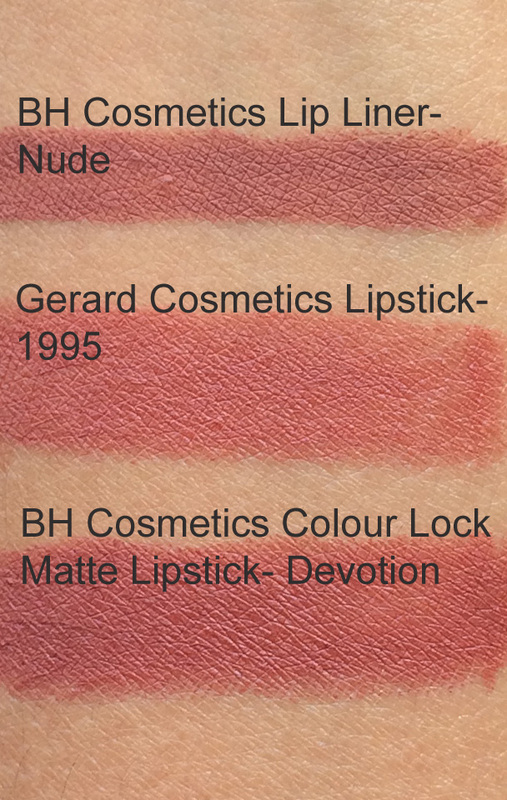 Price: US$ 19.00 Yes it is pricey… Pricier than MAC, but I think I would definitely pick Gerard Cosmetics Matte Lipsticks over MAC’s because I cannot stand that gooey formula of MAC mattes and that uncomfortable drying feeling they give on the lips. *PS- I’ve been wearing this lipstick whole day today and it’s 6:40pm now. I’m so happy to say that this lipstick is still on my lips only with the slightest of fading! what happened with Gerard cosmetics and Jaclyn hill..do you know ? I love 1995! 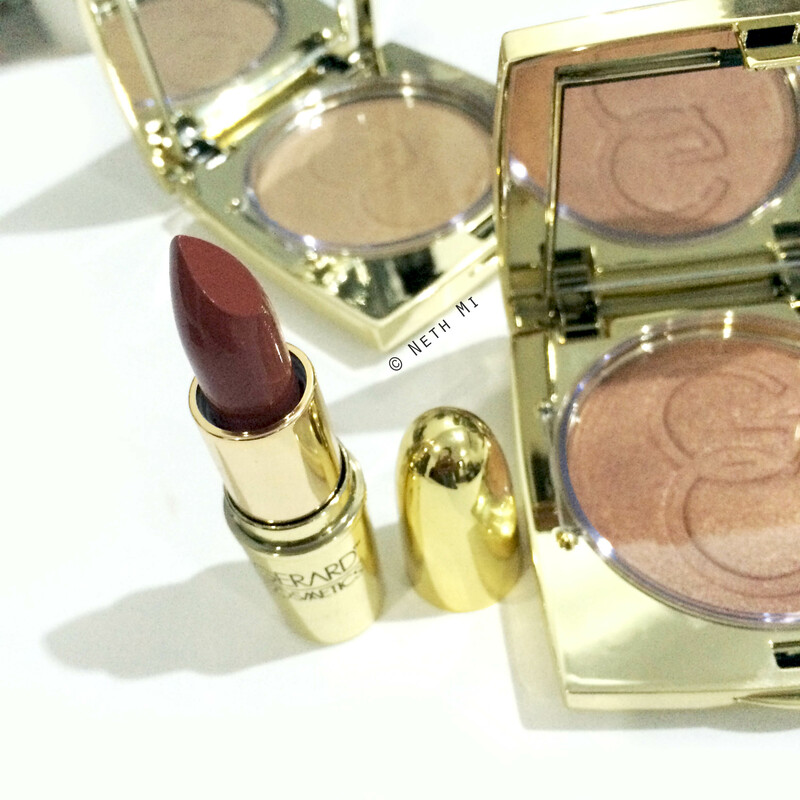 Such a great shade, it looks gorgeous on you! I love this shade so so much. Oh I must try that liner 😍 1995 is my favourite lipstick too!